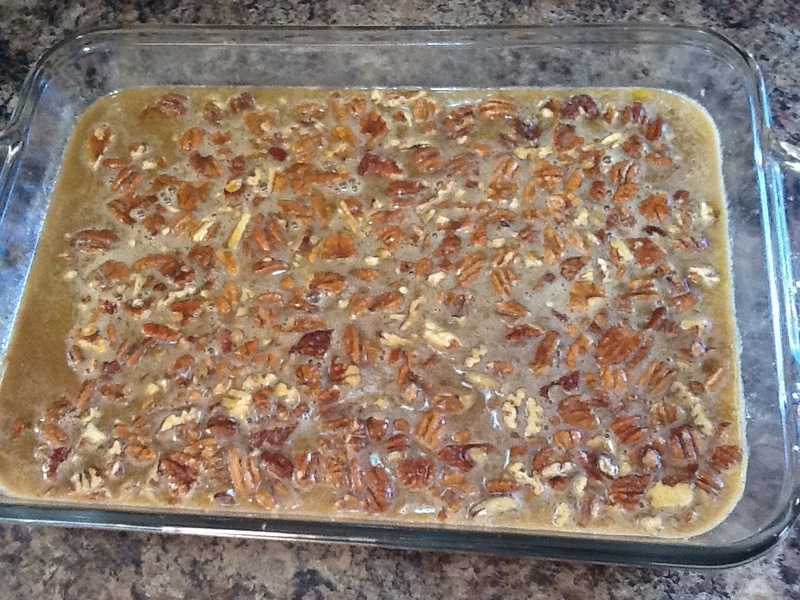 Beside pumpkin pie for Thanksgiving what is more traditional then pecan pie this time of year?! 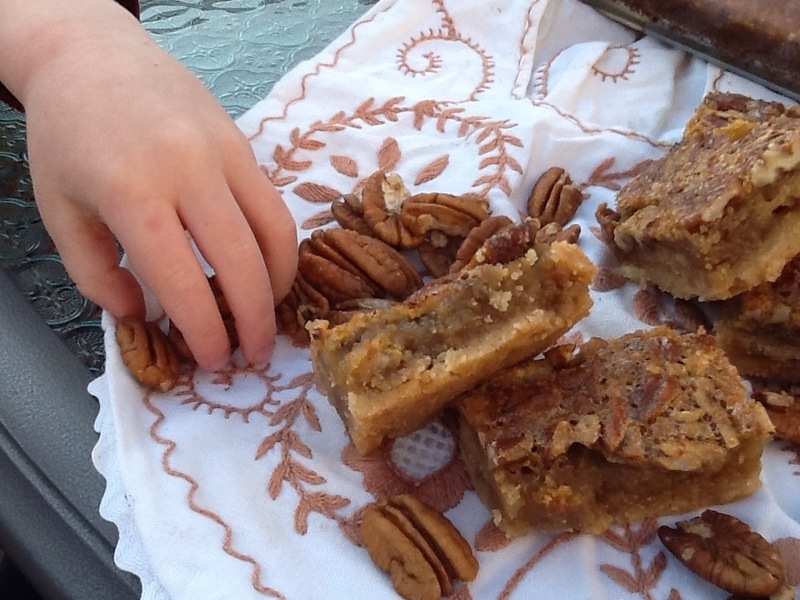 How do you eat your pecan pie? 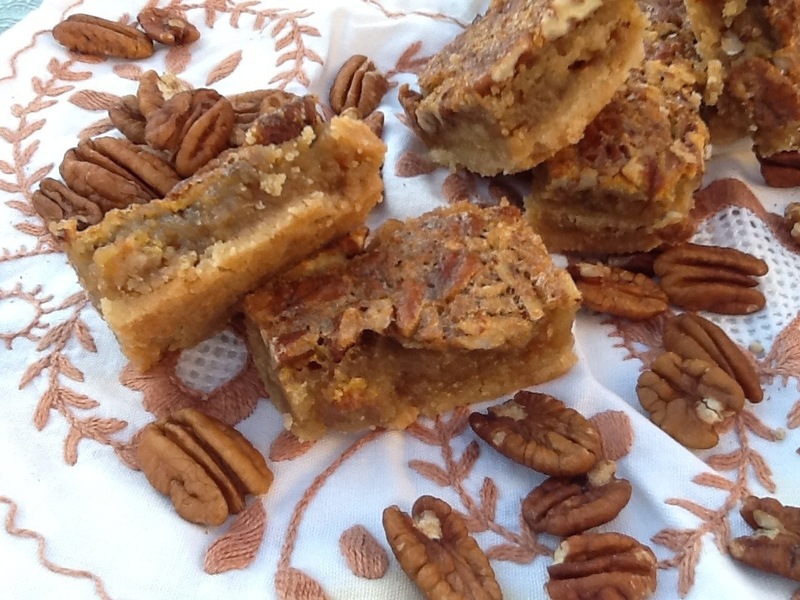 Do you eat the toasted pecans off the top first and then the gooey center? Or, do you just dive right in and before you know it you’re balancing the last buttery bite on your fork wishing you had more. Well, I eat my pie both ways. The first slice one way and be second slice the other way! 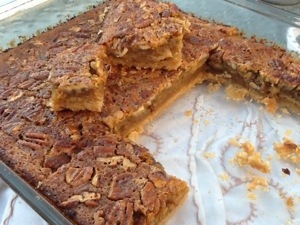 Nellie makes the best pecan pie on the planet! When I was younger at home, she would make a pecan pie; set it on the counter to cool, then I would sneak in the kitchen and try to pick off the toasted pecans off the top. 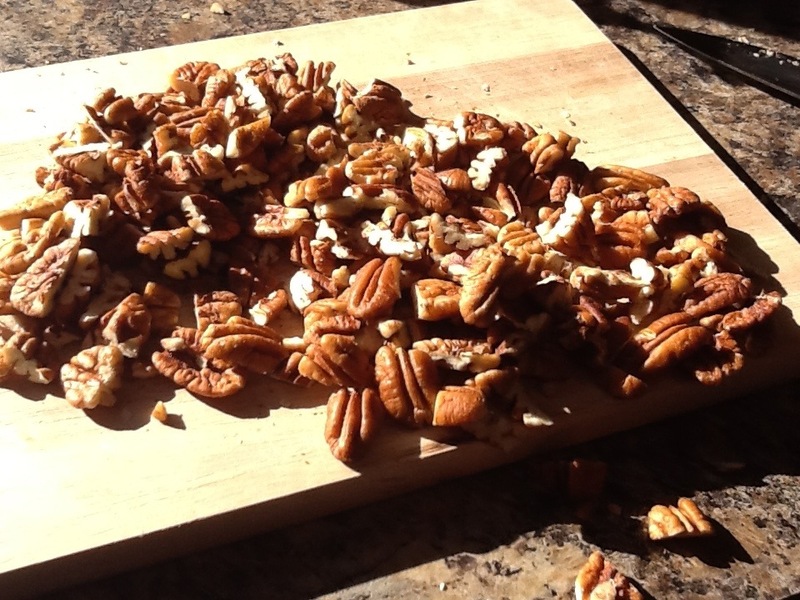 I would try to pick the pecans strategically off the top and hope she wouldn’t notice. She always did! I actually still do this! 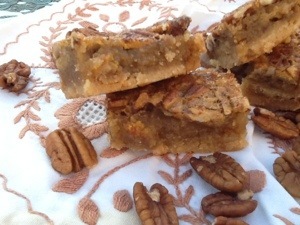 These pecan pie bars satisfy my craving for mom’s pie without begging her to make one! And it is really quick to make. 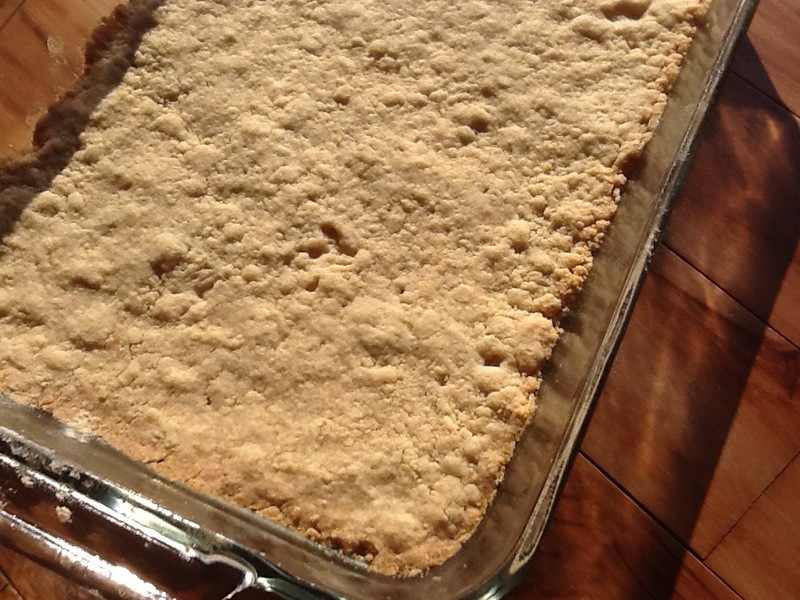 Another good reason to make these is, you don’t have to make and roll out pie crust! There’s still a buttery flaky bottom that gives you the sensation of eating your mothers favorite pie! Try making these, you won’t be disappointed! Start with the shortbread crust. I used light brown sugar instead of granulated sugar and it turned out fantastic! I mix this step with my hands until crumbly and press into the bottom of a 9×13. Bake until golden around the edges. Add all the filling ingredients together in a medium sized bowl. 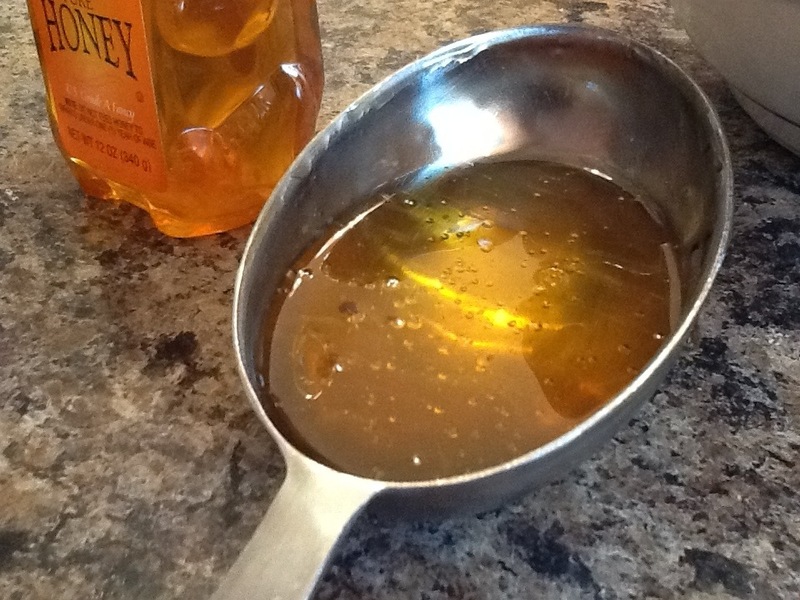 I add 1/4 cup of honey in these bars because this gives them a depth in flavor that is delicious! 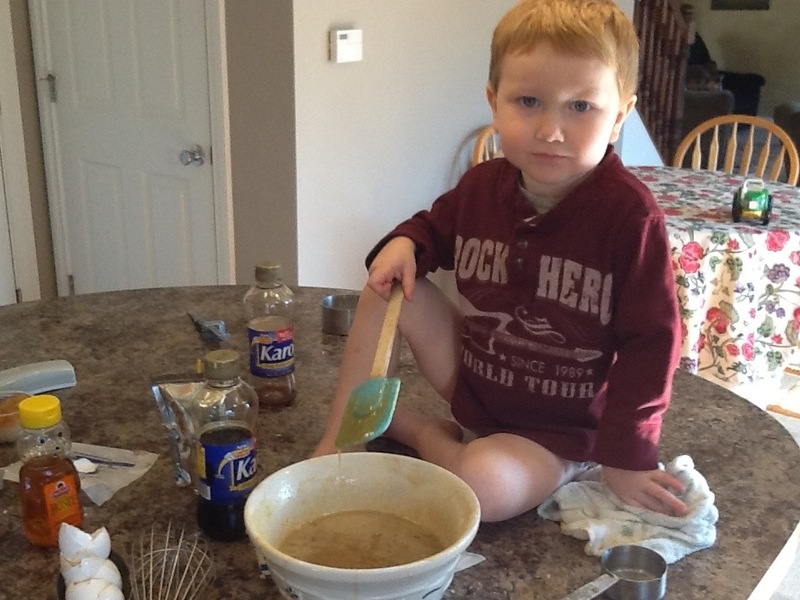 Then, find a little red head that is DETERMINED TO, “HELP YOU COOK MOM!” Take a deep breath, and just let him stir making a sticky mess everywhere! Cleaning up only takes a few minutes more! Right!?! Rudy Raccoon still going strong on being my helper! Cute little hand! Heat oven to 350°F. Combine 1 3/4 cups flour, butter, salt and brown sugar in large bowl. 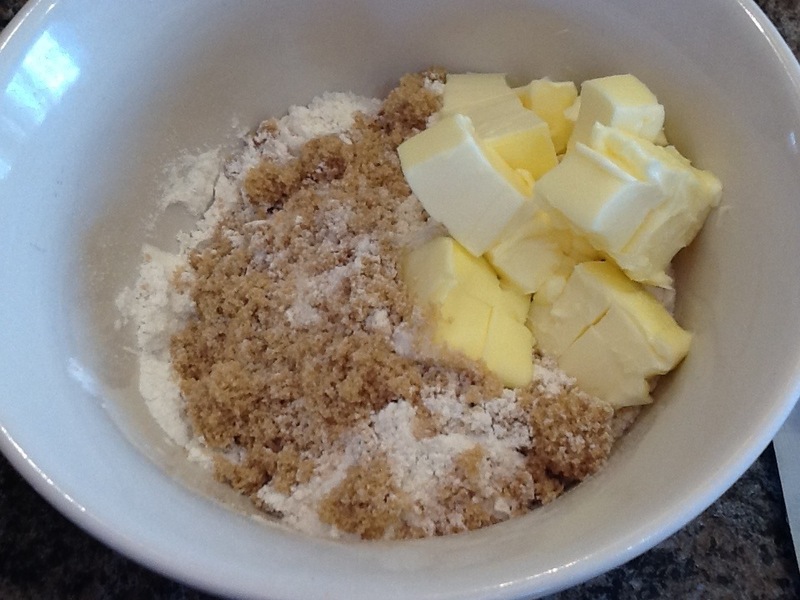 Mix in a medium bowl, until mixture resembles coarse crumbs. Press crust mixture evenly onto bottom of ungreased 13×9-inch baking pan. Bake for 18 to 22 minutes or until edges are very light golden brown. *side note- My Brother in law Jason said these are delicious! *Recipe first posted and created by: Tahnycooks. I just so laughed out loud at the photo of Rudy….how on earth do you get any cooking done Tahny!? I expected the caption under that pic to say add the coarsely chopped Rudy! Now that would add some sweetness for sure!!!! Yum! Yum! Yum! Love pecan pie!! Can’t wait to try this! These sound wonderful! Maybe I will have to change my favorite dessert. What is your favorite dessert anyhow?